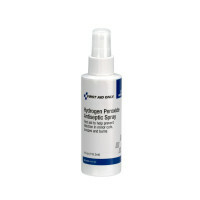 Hydrogen Peroxide Spray, bottle, 2oz. 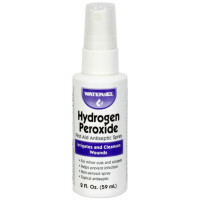 Hydrogen peroxide is the simplest peroxide. It is also a strong oxidizer. Hydrogen peroxide is a clear liquid, slightly more viscous than water. In dilute solution, it appears colorless.